Toronto Blue Jays' South Korean reliever Oh Seung-hwan has added a scoreless inning to his 2018 resume. Oh held the Chicago White Sox off the board in one inning of relief work at Rogers Centre in Toronto on Wednesday (local time). The right-hander entered the game in the seventh inning with the score tied at 3-3. It was Oh's third appearance of the season in four days. He got Tim Anderson to ground out to shortstop Gift Ngoepe for the first out. Adam Engel then lined a single over Ngoepe, but he was stranded there as Oh struck out the next two batters to finish the inning. First, it was Yoan Moncada going down swinging on a high four-seam fastball, clocked at 91 mph. Then Avisail Garcia also swung on a 91-mph fastball that came in high in the zone. The White Sox broke the tie in the top of the eighth, as Jose Abreu hit a solo home run off new Jays pitcher Ryan Tepera and held on to win the game 4-3. The Jays' winning streak was snapped at four games. Oh has a 1-0 record with a save this season, along with an ERA of 2.25 in three innings. 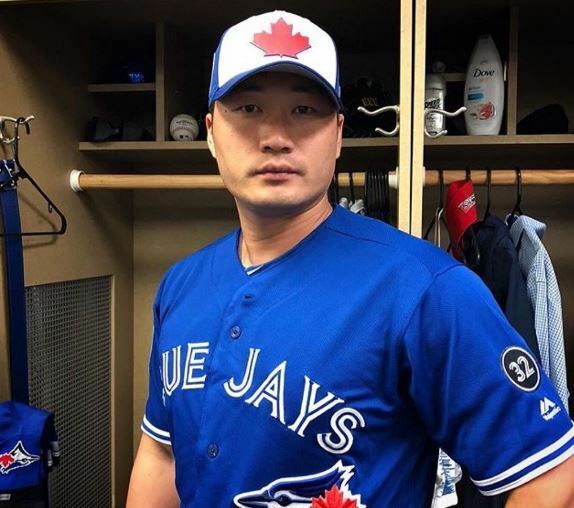 The 35-year-old signed with the Jays in late February but didn't get into a spring training game until late March, as he had trouble acquiring his U.S. work permit. He threw several bullpen sessions and simulated games on the sidelines.